Help I want to feel motivated ! 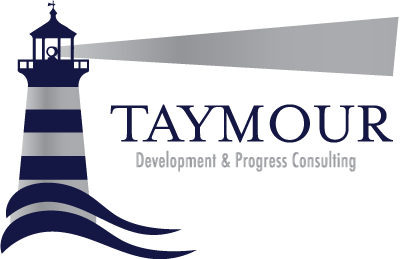 « Taymour Consulting Ltd.
Help I want to feel motivated ! Since the beginning of 2006, the most common request I get from new clients is the very title of this article. Most of them are very clear about what they want, but by the end of their intro session, something magic happens and they light up like a Christmas tree. They become clear, focused and ready to move on and make the necessary improvements to specific areas of their lives. We all want to achieve our goals, we all want to make constructive changes that can yield a better quality of life for us and our loved ones, but at times the worst enemy can be ourselves. One of the very first things I do with new clients, is get to know them, and I do not mean on a superficial level – quite the contrary. I dig deep and try to find out who they truly are, and in the process, re-acquaint them with themselves. I explore their values, what makes them tick and most importantly help them gain the bigger picture about their lives. Ultimately, as Stephen Covey puts it: “Self-knowledge appears as the beacon toward which successful people have always travelled”. To put it simply, if we have to drive a car, we must first understand what the car is capable of and how it works. I recently had a client, lets call her Mary for confidentiality’s sake. Mary was a bright and highly capable professional woman who wanted to achieve the goals she had set out to do. To cut a long story short, within 40 minutes Mary realized that the reason she lacked the “wind in her sail” to move forward with her plans was because the goals she had set conflicted with her values and who she truly was. She also realized that the goals she had set were not really hers, but her fathers. As soon as Mary gained insight into who she truly was, and what she honestly wanted for herself, not only did her motivation shoot up, but it all seemed easier. Lesson Number 1: Make sure you set goals that complement who you truly are. As Oscar Wilde once said: “ Be yourself; everyone else is already taken”. Another problem most of my clients seem to face is that they set such high expectations of themselves that the idea of attempting what they had set out to do turns into a great big fear, so they avoid even attempting it. The key is to keep your goals realistic and be happy with a good result. A recent corporate client of mine was what you and I call a “perfectionist”. It was this very quality that prevented him from attempting his goals. I simply asked him to aim for an “OK” result that would pass as acceptable. Though he was uncomfortable with this suggestion, sure enough, his final result was better that what he had ever anticipated. As soon as I asked him to make a small change to his expectations, his performance excelled. Lesson Number 2: It’s much better to aim for a “good enough” result, rather than a “perfect” one. The “good enough” result usually ends up being better than the perfect one, particularly if our quest for perfection has stopped us from producing any result at all. One of the most valuable lessons I learned through my NLP training was that imagination is far more powerful than will. In fact, one of the most powerful energies on this planet is the power of thought. Look around you, everything in the room you’re in started with an idea, a thought or imagination. If you want to attempt and achieve your goals, you MUST see it in your mind first. To visualise, is to take the fist step towards achievement. Some people get up and do what has to be done, others never get up at all, but there are some who imagine it first, they even re-run it in their minds again and again, then get up and outperform all those around them. It is such people, who can change the world for the better. Lesson Number 3: Imagine yourself achieving your goal, see it in your mind first, then allow your reality to fulfil your vision. There is an old Persian proverb that states: “Stupidity is not making a mistake, it’s repeating it”. We have all made mistakes, the important thing is NOT to view them as failures, but lessons that add value to our lives. Failure is no more than life’s feedback that lets you know you need to change your approach and strategy towards your goals, and not to give up. Lesson Number 4: The more you fail, the closer you’re getting to success. View failure as what Mel Gibson calls ‘School Fees’ – the cost of life’s education that teaches you the lessons you learn. By setting realistic goals that are chunked down into doable time frames, you may begin to view your goals as simple daily checklists that are easy to achieve. If I hand you a huge cake that can feed fifty people, and ask you to eat it, chances are you won’t be able to. However, if cut it into individual sized portions, then you’re likely to finish that cake in less than a month. Apply the same principle to your goals. If you chunk them down into daily tasks, then you ensure a steady stream of necessary motivation to achieve your goals. Lesson Number 5: Break down your goals into easy to do daily tasks that can add up. Remember, little changes yield big results. “A jug fills drop by drop” The Buddha. “Let me tell you the secret that has led me to my goal: my strength solely lies in my tenacity”.